This is a 3 hour tutorial I wrote for and gave at OSCON 2012. This tutorial will introduce the features of MongoDB by building a simple location-based application using MongoDB. The tutorial will cover the basics of MongoDB’s document model, query language, map-reduce framework and deployment architecture. Besides the knowledge to start building their own applications with MongoDB, attendees will finish the session with a working application they use to check into locations around Portland from any HTML5 enabled phone! Each attendee should have a running version of MongoDB. Preferably the latest unstable release 2.1.x, but any install after 2.0 should be fine. 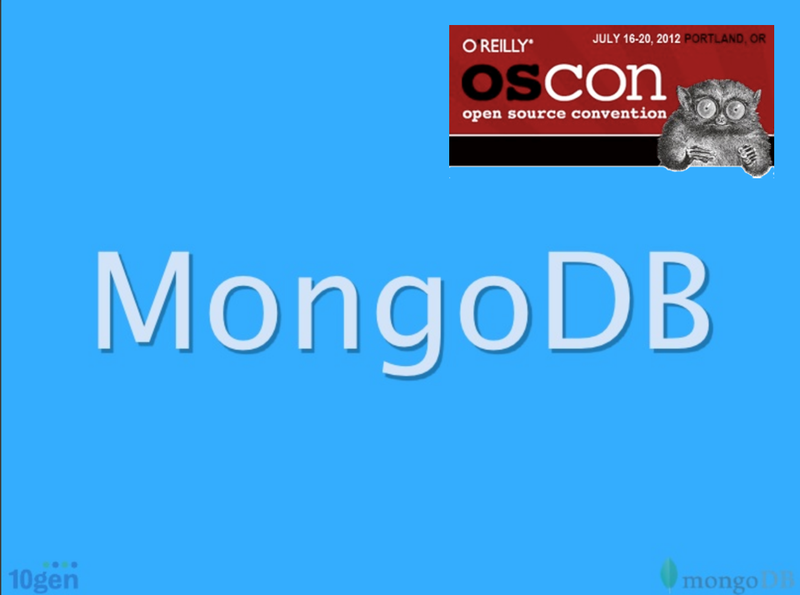 You can dowload MongoDB at http://www.mongodb.org/downloads. Instructions for installing MongoDB are at http://docs.mongodb.org/manual/installation/. Additionally we will be building an app in Ruby. Ruby 1.9.3+ is required for this. The current latest version of ruby is 1.9.3-p194. For linux most users should know how to for their own distributions. We will be using the following GEMs and they MUST BE installed ahead of time so you can be ahead of the game and safe in the event that the Internet isn’t accommodating. Prior ruby experience isn’t required for this. We will NOT be using rails for this app.